Heat Generation and Control: Heatstroke can generate extremely high temperatures, fly and produce controlled bursts of flame. 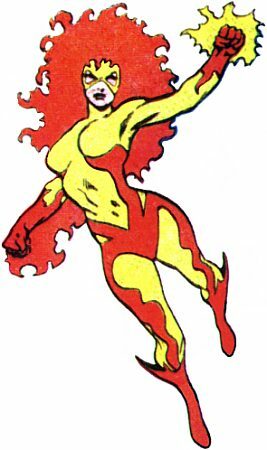 Little is known about the history of the villain known as Heatstroke. She is part of a group of super-villains calling themselves the Masters of Disaster. They are a group of mercenaries, and each member of the group controls one super-power related in some way to a natural disaster.